Muscat is the typical grape that will perform better in a vintage not to warm at the beginning, in order to keep good acidity and fruity aromas, and then will benefit from a nice dry and sunny period before harvest, like in 2007! The Herrenweg vineyard enjoys precocious growing conditions (lighter well drained soil and dry climate) and therefore usually performs better in vintages with more summer rains, again like 2007. 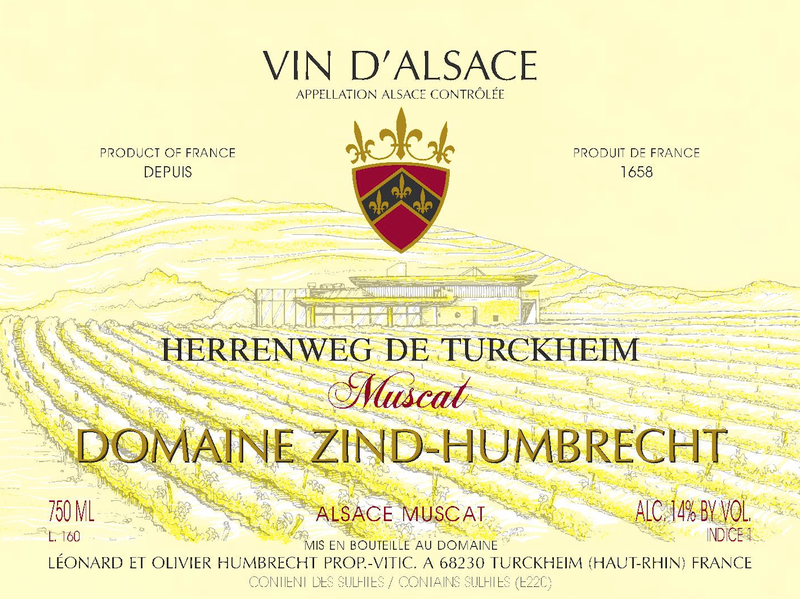 In the past decade, we could see the gradual decline in quality of the Muscat Ottonel grapes and the gradually increasing quality of the later ripening Muscat d’Alsace (or Muscat Petits Grains) that is capable of keeping a much better acidity. With increased plantations of Muscat in the Herrenweg, we now have a much higher proportion of the later grape, for the benefit of the structure and ageing potential of this wine. This vineyard was harvested very healthy and the wine fermented quickly, keeping no residual sweetness. Because of the extreme purity of this vintage, a lot of wines were either never racked or racked very late, like this wine, allowing full lees autolysis. We gain more stability, higher ageing potential and more minerality expression in the wine, but also such wines will offer less obvious fruity aromas in their youth. 12/2008: the nose is gradually opening up and I am persuaded that it will be there in a few months. It is still today an interesting battle between restraint minerals, quite astonishing for the Herrenweg, and more evident grapy Muscat flavours. The palate is perfectly dry, but far from green or tight, it offers a long dry harmonious finish.